From the beginning of its term, the 14th NA has passed 28 laws and four resolutions while its Standing Committee has adopted one ordinance and one resolution, the report says. 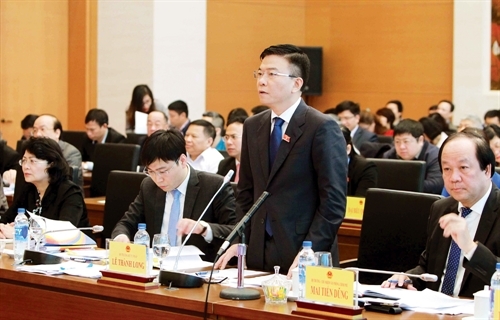 Most of draft laws were passed by over 80 percent of National Assembly deputies, with the Legal Aid Law (amended) voted for by 100 percent of lawmakers present, the report points out. 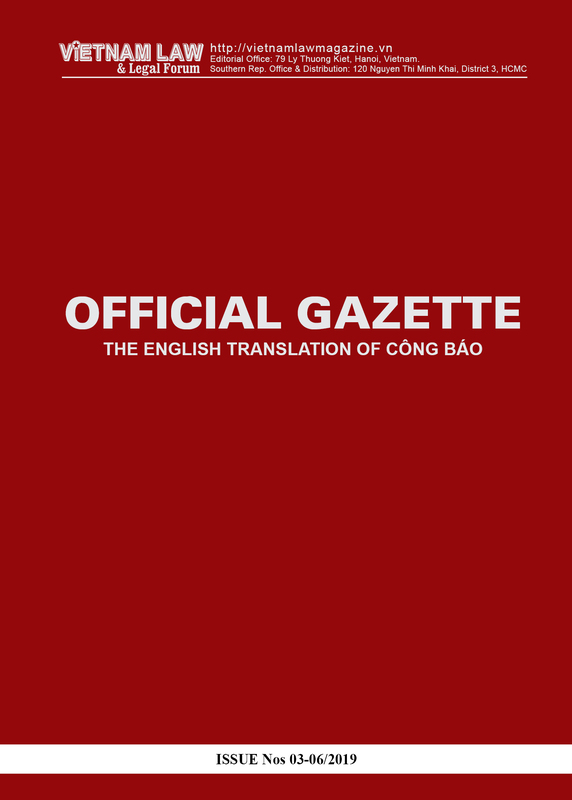 Speaking at the meeting, Minister of Justice Le Thanh Long said since 2016, his ministry has appraised a total of 718 documents, including 93 legislative proposals and draft laws, ordinances and resolutions of the NA and its Standing Committee. According to the 2015 Law on Promulgation of Legal Documents (Law on Laws), the Ministry of Justice is responsible for advising the Government on preparing programs on making laws and ordinances under the latter’s responsibility and supervising the implementation of these programs. It also has the task to appraise lawmaking proposals and draft legal texts before they are presented by the Government to the legislative body. While assessing the ministry’s appraisal work as compliant with regulations, Long admitted that there were too frequent changes in the lawmaking program, with 12 draft laws being postponed or withdrawn from the program in 2016 and nine in 2017. In the course of building lawmaking programs, some draft laws were not carefully studied in terms of scope of regulation and impacts of new policies. The quality of some legal texts remained unsatisfactory, like the draft Law on Denunciations (amended) and draft Anti-Corruption Law which had to be read and re-read at three NA sessions, instead of two as scheduled. Another problem is the late sending of draft laws to NA deputies for comment before each NA session. Under current regulations, draft laws and relevant materials should be made available to lawmakers at least 20 days before the opening of an NA session. But, according to the report, four out of 15 drafts still had not been seen by lawmakers just a few days before the opening of the last NA session. Concerning the causes of the above situation, the report points to the great number of laws and ordinances which need to be revised and the new strict legislative process established by the 2015 Law on Laws. It also blames some ministries and sectors for having not paid due attention to and arranged sufficient resources for institution building work. Administrative discipline remains lax in some cases, according to the report. Regarding the issuance of implementing regulations, the report says from the beginning of the current term of the 14th NA, the Government, Prime Minister and ministries are tasked to issue 481 documents, of which 368 have been enacted. The delayed issuance of implementing regulations has been tackled, with the number of documents issued after the effective date of the corresponding laws decreasing from year to year. Particularly, in 2017, all documents falling under the competence of the Government and Prime Minister were issued on time. Meanwhile, the number of implementing regulations issued to take effect on the same date with the corresponding laws has increased, such as 50 decrees detailing investment and business conditions with effect from July 1, 2016; and detailed regulations of some laws that came into force on July 1, 2017, or January 1, 2018, such as the Law on Property Auction, Law on Custody and Temporary Detention, and Law on Legal Aid. However, the report says the “owing” of implementing regulations has not been redressed completely. As of March 12 this year, 22 documents, including 10 decrees, two decisions, eight circulars and two joint circulars, are not yet issued as required. 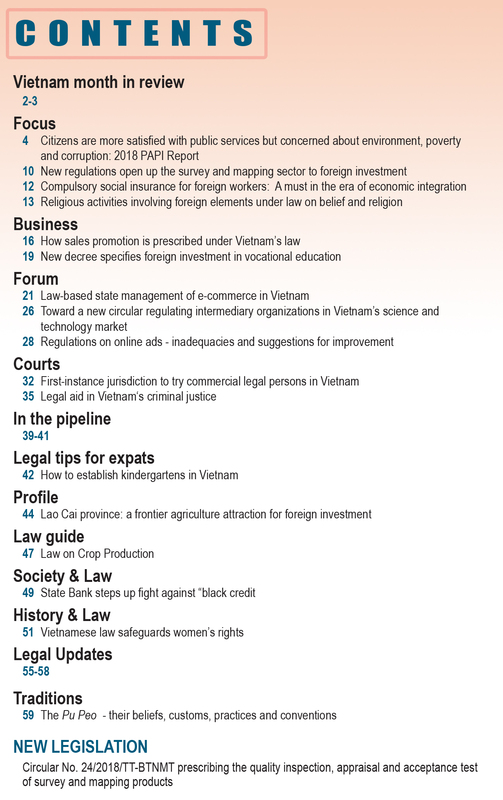 The above problem may be attributed to the fact that some enacted laws still need numerous implementation guidelines, such as the Law on Management and Use of Public Property, Law on Foreign Trade Management, and Tourism Law, with their to-be-guided contents ranging from 17 to 33. In addition, several other laws and ordinances allow a relatively short length of time from the date of their passage to the date they come into force, making it difficult to issue many implementing regulations on time. The late issuance of implementing regulations also occurs when such regulations have to deal with novel and complicated issues. 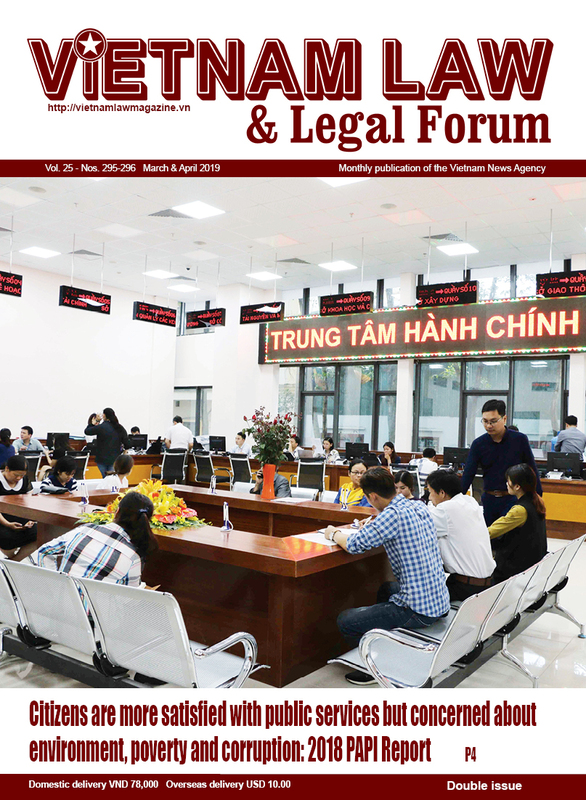 A typical example is the decree guiding the implementation of the 2014 Law on Social Insurance concerning compulsory social insurance for foreign workers in Vietnam, which is due to come out from January 1, 2018. The draft is now still waiting for the final opinion from the NA Standing Committee, the report reveals. Regarding solutions to the delay in the issuance of implementing regulations, the Minister of Justice said that it is necessary to strictly observe the 2015 Law on Laws, especially new provisions on policymaking, impact assessment and public consultation. More human and financial resources are also needed while discipline in lawmaking work should be tightened. The Ministry of Justice will also cooperate more actively with other ministries and sectors in all stages of the lawmaking process, from preparing the legislative program to drafting and appraising legal texts.